The toxin market is growing for aesthetic indications, and patient interest continues to soar. But in addition to a growing market, Michael Gold, MD says there are other trends to watch. 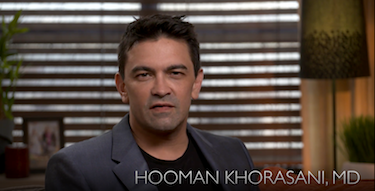 Ahead he discusses new research into different doses for varying duration of effect, as well as trends surrounding micro or meso injections. PD: Where is the toxin market headed? What’s new? What’s changing? We’re already seeing some data showing higher doses do last longer. Revance Therapeutics’ long-acting neuromodulator daxibotulinumtoxinA for Injection (RT002) delivered positive top-line results in alleviating moderate to severe glabellar lines in the SAKURA 3 Phase 3 open-label, long-term safety study. Based on investigator assessment, more than 95 percent of patients achieved a score of none or mild glabellar lines at maximum frown at Week 4 after each of three treatments and the median time to return to baseline glabellar line severity was 28 weeks. The median time to loss of none or mild wrinkle severity was 24 weeks. So 40 units of RT002 has been shown to last longer, and now other companies are starting to do some preliminary investigation into the safety, efficacy, and duration of effect of higher doses of their toxins. We also now have a new toxin available from Evolus. PrabotulinumtoxinA (Jeuveau) was FDA approved in February for the temporary improvement in the appearance of moderate to severe glabellar lines associated with corrugator and/or procerus muscle activity in adults. It will be available to physicians this spring. The clinical studies show that its efficacy and duration are equivalent to Botox Cosmetic. There are also a few toxins in the pipeline. EB-001A is currently in Phase 2 clinical trials and appears to have a rapid onset of action and short duration of effect relative to available toxins. And Croma, a company based in Austria, has acquired the North American rights to Botulax, a toxin from Hugel that is already available in other countries. They are going through Phase 3 studies now in the US, so we’ll have to wait and see what happens and how this could fit into the market. PD: What other trends are you seeing for toxin injections? Dr. Gold: Another trend that we’re beginning to investigate in the US is the concept of micro or meso botulimun toxin injection, commonly referred to as Mesobotox. But it is a technique that can be used with any of our available toxins. This has been widely investigated in Asia and some work has started in the US. In Asia, they perform a lot of Mesobotox—much more than we do here. I learned how to do this in Asia. In fact, the first time I ever heard this talked about was a meeting I was attending in Asia. I had never seen injecting like it—putting 10, 12, or 14 needle tips on the side of each face. Mesobotox is performed by injecting a dilute amount of botulinum toxin into the dermis of the skin with a very fine gauge needle. Typically, we’re talking about one unit into many injections on the face. Injectors do need to be really careful because if you hit the wrong nerve, there could be drooping in half of the patient’s face for three months—it’s a problem that I’ve seen happen. In the US, we’re starting to investigate this approach as an option for sebum output and oily skin. Minute amounts of botulinum toxin can be injected in specific areas of the face to reduce the sebum output and shrink the pores, improve the appearance of the skin, and, ultimately, make acne a little better. It’s been used to improve the facial redness from facial blushing and for those who have rosacea. It has also been used as a way to make other cosmetic procedures work better. If you do IPL treatments or fractional lasers, Mesobotox can be done in combination, and it seems to make the procedures last longer and even lead to a little bit more beneficial of an outcome. And it’s also being used as a treatment to improve the appearance of scars and, again, as an additional treatment to make the scars respond better to other treatments. The problem is there are no large clinical trials with any of these. There are small case series but no large trials to really evaluate the benefits and determine the most effective treatment protocols. 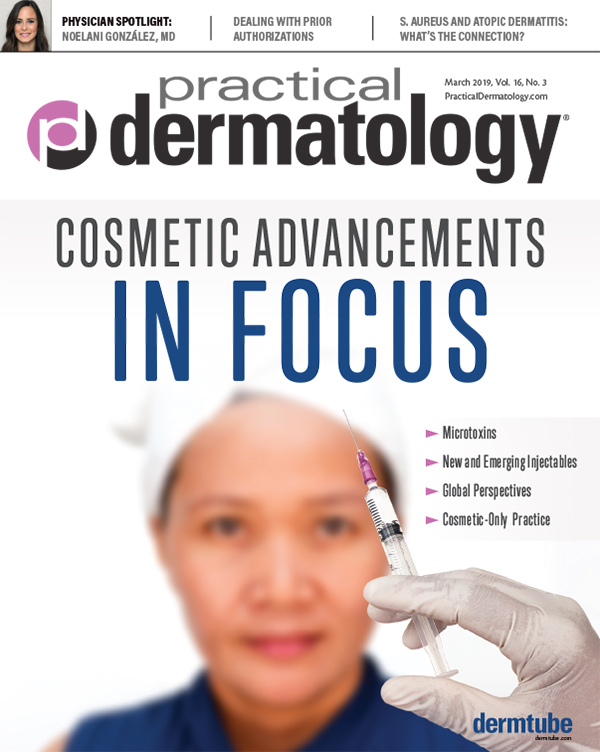 PD: How does Mesobotox fit into treatments you’re offering in your practice? Dr. Gold: I think it can be used to effectively enhance other procedures I’m doing for acne, aesthetic procedures, and scar treatments, but not necessarily something that will replace anything I’m doing in practice. In my practice, if I’ve tried all the traditional treatment options and I’m not getting the response that I’m looking for, that’s where I would use this. If you run out of options or ways to help a patient, this is a concept to consider. We’re really just at the tip of the iceberg here—there is a lot more we need to study and we’re just starting to explore these areas. As aggressive as I am, I’m still conservative with some of my toxin injections. Is it safe? Is it effective? Show me the data. If it’s done right, if it’s done by the right people, if it’s done for the right indications, there can be a benefit that we should study in bigger trials. Those just haven’t been done yet. We’re still waiting for the 100 to 200 patient trial to really determine if this makes sebum better and to measure sebum output. All this stuff should be done. 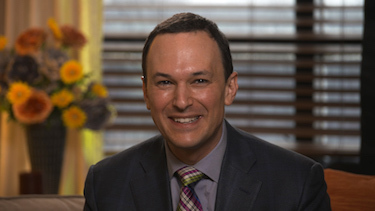 Dr. Michael H. Gold is the founder of Gold Skin Care Center, Advanced Aesthetics Medical Spa, The Laser & Rejuvenation Center, and Tennessee Clinical Research Center located in Nashville, Tennessee. Dr. Gold is also a Clinical Assistant Professor at Vanderbilt University School of Nursing and an Adjunct Assistant Professor at Meharry Medical College, School of Medicine, which is also in Nashville. He is a Visiting Professor of Dermatology for Huashan Hospital, Fudan University in Shanghai, China (11/2006), Guangdong Provincial People’s Hospital, Guangzhou, China, as well as a Visiting Professor of Dermatology at Number One Hospital of China Medical University (11/2008) in Shenyang, China. Dr. Michael H. Gold is the founder of Gold Skin Care Center, Advanced Aesthetics Medical Spa, The Laser & Rejuvenation Center, and Tennessee Clinical Research Center located in Nashville, Tennessee. Dr. Gold is also a Clinical Assistant Professor at Vanderbilt University School of Nursing and an Adjunct Assistant Professor at Meharry Medical College, School of Medicine, which is also in Nashville. He is a Visiting Professor of Dermatology for Huashan Hospital, Fudan University in Shanghai, China (11/2006), Guangdong Provincial People&rsquo;s Hospital, Guangzhou, China, as well as a Visiting Professor of Dermatology at Number One Hospital of China Medical University (11/2008) in Shenyang, China.